Driving down Sullington Lane to Byre Cottages is like travelling back in time. If you are looking to escape the hurly burly, this beautiful countryside surrounding and the sense of peace of this ancient hamlet is really rewarding. Yet the shops, pubs and cafes of Storrington are less than five minutes away, Brighton, Chichester and the coast are only half an hour and London is an hour and a half – these holiday cottages have the best of all worlds! Grahame is the third generation of the Kittle family to farm at Sullington. Grahame’s grandfather, Ivan, bought the farm from the Hecks family in 1951. Grahame’s father John and his wife, Susan, converted the original Victorian stables which were previously hen houses to holiday accommodation in 1990. Grahame, a Chartered Surveyor, returned with his family, to work with his father in 1993 and continues to farm at Sullington. Susan, Grahame, Gail and their daughters, Lizzy and Anna, extend an especially warm welcome to all who stay in Byre Cottages. Holiday visitors can enjoy country walks, lovely surroundings, an outdoor swimming pool, tennis court, table tennis and outdoor toys including Wendy House on this working farm. Free-range chickens roam and the eggs are collected each morning. Our dogs, ‘Digby’ and ‘Pepper’, are a highlight of many holidays here! 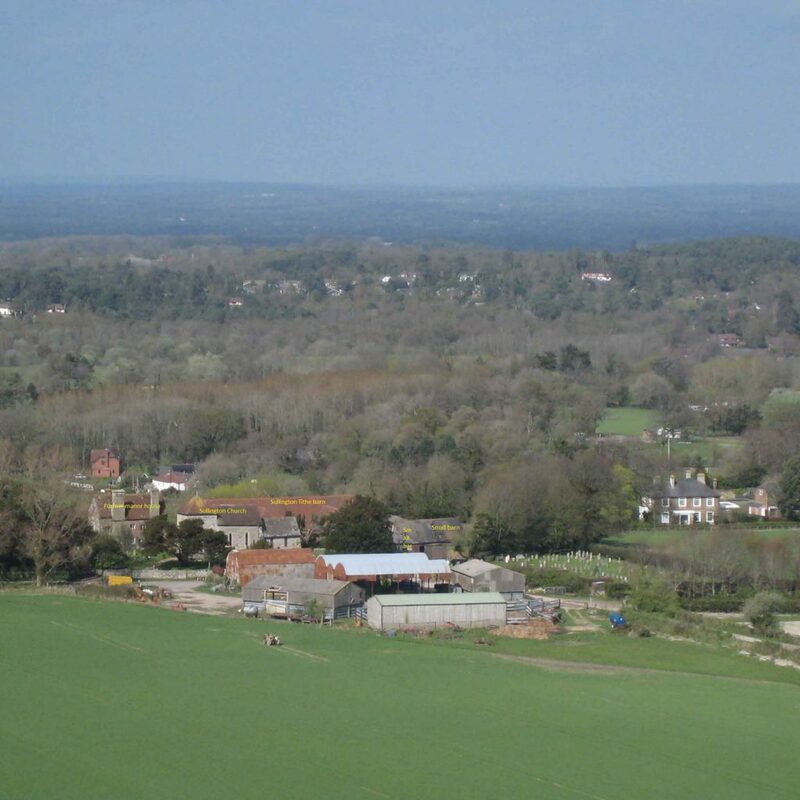 Thee countryside around Byre Cottages is outstanding and a short walk takes you to the South Downs Way with beautiful views over the Sussex Weald and to the English Channel. 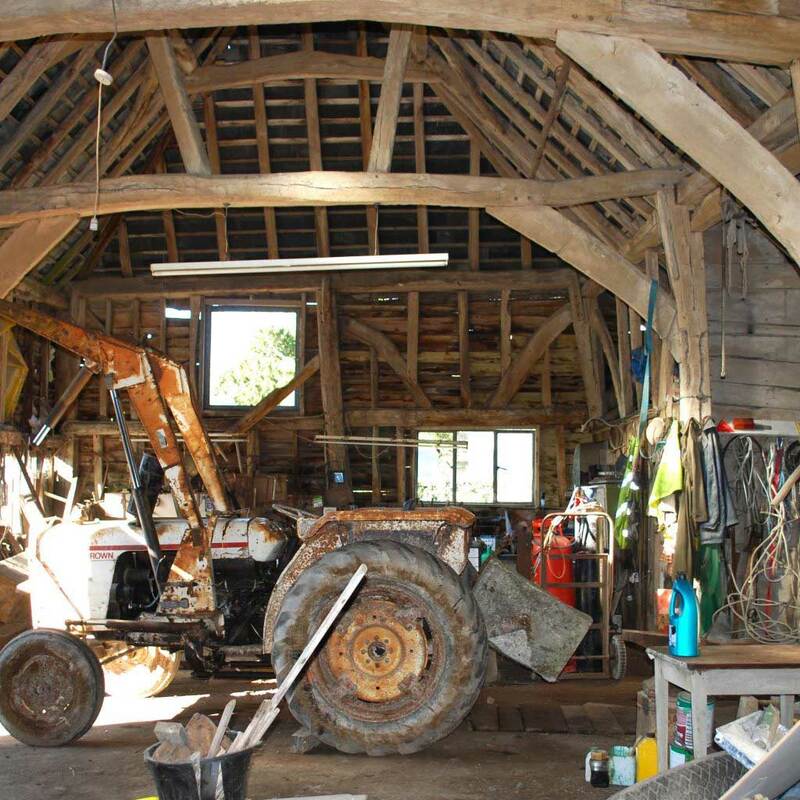 The barn was repaired in 2013 with financial assistance and historical advice from Natural England. The barn has a new lease of life as a wedding venue! 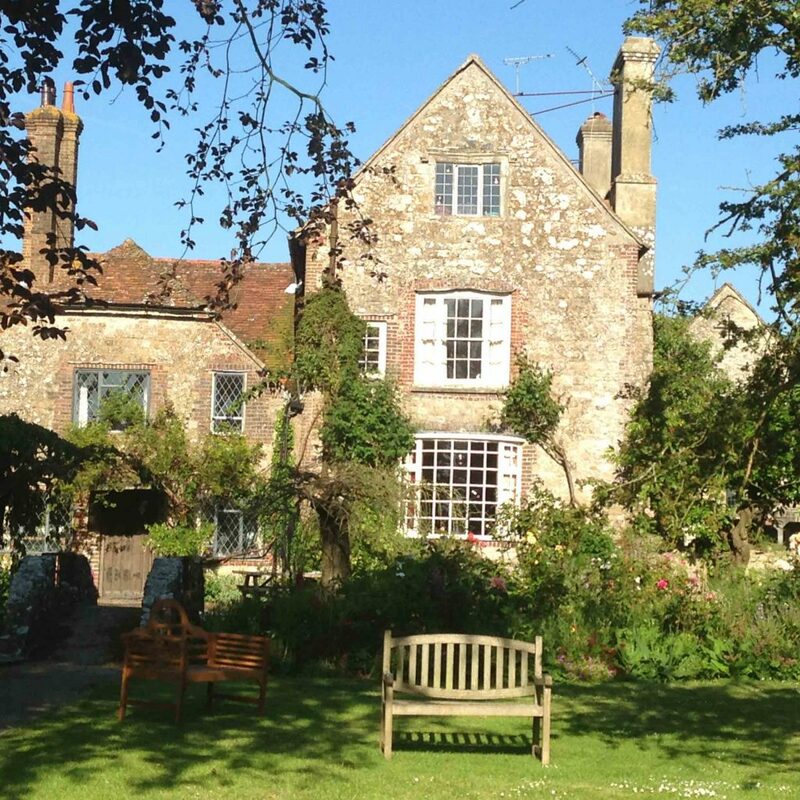 Sullington Manor Farm – an irresistible location for filming and photo-shoots. If you are interested in using Sullington Manor Farm as a film or photography location please get in touch. In 2015 we were delighted to receive the news of a Heritage Lottery Fund grant award. 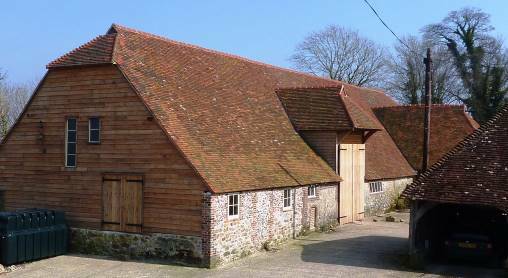 ‘Saving Sullington’s Heritage’ repaired this prestigious 500 year old barn which now houses an exhibition and a café. 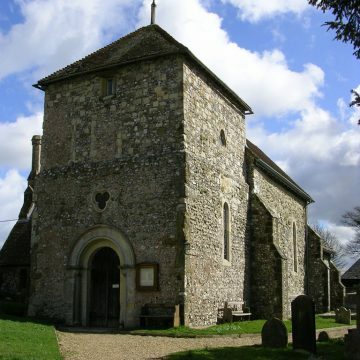 Nestled amongst the farm buildings is the ancient church of St Mary’s, Sullington. A beautiful, historic, well-loved church with a vibrant, busy community ….. Thank you so much. We had a fabulous evening! The barn is enough but the weather made it perfect. The balloon tether was very successful and many had a ride. Please can we come again next year? Thank you for supplying the venue for last Sunday and our Stable Antiques’ Summer Party. We were 34 at the final count and all were most impressed with the barn thinking that it would be ideal for an antiques fair. Once again, a very big ‘thank you’ on behalf of all who thoroughly enjoyed the event. Thank you so much for everything. The barn and whole setting was superb and everyone commented on how lovely it was. We all had a lovely time and it was great to spend time with our families over the weekend. Thank you again. Thank you very much for all your help both with Kellie and Rich’s wedding and our holiday afterwards. The barn made such a perfect venue for the wedding. We enjoyed our relaxing week in the cottages, enjoying the weather and the pool. Thank you – the barn looked absolutely stunning and exactly what we wanted. We had an amazing time. We cannot thank you enough for our perfect day…Many, many thanks. Thank you so much! The barn was magnificent, I think it upstaged the bride!! So many people remarked on how beautiful it was. We had a fabulous day and your help was invaluable. A perfect setting in every way. Thank you again for all your patient help in the run up to the wedding. Everyone loved the farm, the church and of course the barn which is stunning. We enjoyed every minute and their wedding was very personal and special. Thank you!! Thank you for an amazing wedding venue, for all your help and support and for our beautiful mugs! Our guests LOVED your barn – we are so grateful for such a beautiful location for our most favourite day – A DREAM! A huge thank you for your generosity and assistance in hosting the barn dance in your magnificent tithe barn. Thank you for the best few days of our lives!!!!!!!!!!!!!!!!!! Amazing amazing venue!!!!!!!!!!!!!!! What a fabulous time we had at the wedding on Saturday! The setting was amazing and all the guests were very impressed with the venue. A brilliant day was enjoyed by all. So much love, joy and happiness! Gail and Grahame are the most patient, attentive and good hearted venue proprietors you could wish to meet, which would be enough on its own, but they also happen to own a slice of campestral heaven in the Sussex countryside. They and their wonderful premises made our wedding utterly magical, and we cannot thank them enough.